This advertising feature is brought to you by San Miguel. Find out more. The lifestyles of the rich and famous have never been so close to our reach thanks to our favourite social apps that provide the never-ending supply of 15-second snippets of rich-livin'. But, are Learjets, infinity pools and bling bling selfies the stuff happiness is made of, or is it something more closely resembling family, friends and a life lived true to yourself? San Miguel wants to find out what 'rich' means to you and they've got the technology to do it. The brand are launching the interactive Find Your Rich Experiment in Manchester and Edinburgh (tickets available now) and are inviting you to take part, and, of course, enjoy some personalised beers while you're at it. At this pioneering event you'll be offered the opportunity to have your senses tested by a series of stimuli and uncover whether you value material possessions or experiences more. RFID technology will log your reactions, testing your sense of taste, smell, hearing and touch as your move from one virtual room to another. At the end you'll receive a personalised profile outlining your travel, food and activity preferences. A few beers with friends while putting the world to rights together... sounds like our favourite kind of night. Tickets are priced at £15 (plus booking fees) and include one drink and two tapas plates from around the world but you can save 50% off the ticket price by typing in TheListOffer in the promo code box. 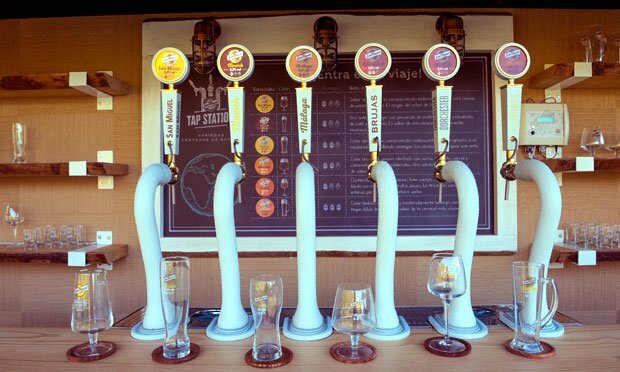 You'll also get an additional beer after the experience, handpicked based on your personalised profile which should make it the best beer you ever tasted. 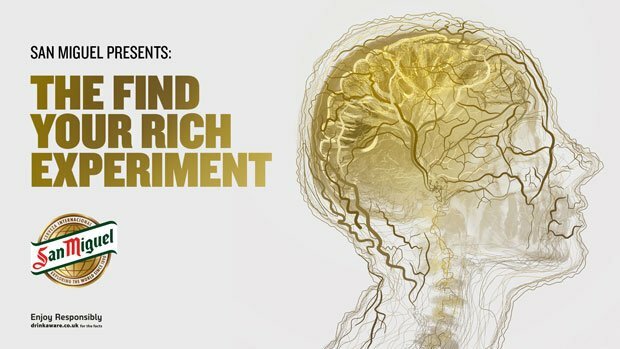 The Find Your Rich Experiment is taking place at Victoria Warehouse in Manchester, Thu 27 Sep, 5–11pm; and The Hub in Edinburgh, Thu 4 Oct, 5–11pm. 18+ only. Ticket T&Cs apply. Enjoy San Miguel Responsibly.